All accordionists, friends, family and all those interested in accordion music are welcome to the friendly informal Summer concert. This is an opportunity for our accordion students to perform some of the pieces they have been working on this term. There will be solos, duets, trios and group pieces (in a variety of musical styles) from players of all ages and levels of experience. There will be two sets of approximately 45 minutes of music, with refreshment break, raffle and plenty of opportunity to chat with other accordionists and friends. The evening will finish by 10pm. Tickets are not sold for these events and admission is free. However, the organisers kindly ask for donations for refreshments and for your support of raffle on the night, to cover the cost of the hall hire. Accordion lessons will finish for the summer on 10th July and start again on Monday 18th September 2017 – new timetable to follow shortly. 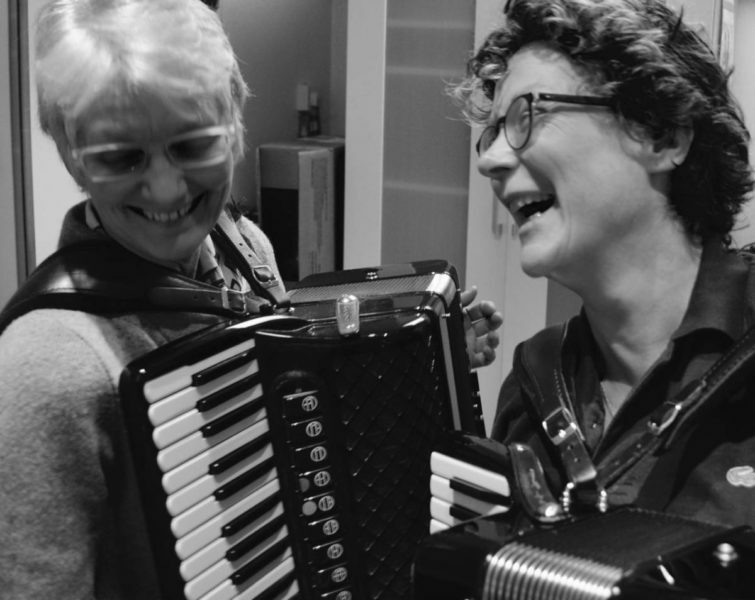 To enable accordionists who are already playing accordion to a basic standard in their own front rooms, the opportunity to meet up with other accordionists in the area, to work on playing some tunes together and pick up some tips and ideas to progress their playing. It will be informal and fun (hopefully!) and no-one will be under any ‘pressure to perform’. On the day, we will work on 6-8 tunes together and I will offer support, advice, ideas for how to play the tunes and tips for playing together with other accordionists. There will be plenty of breaks for chats and refreshments. If you would like to come along, please respond by 23rd June, returning the slip below and your £30 payment by post or email to Dawn Loombe, 60 Laceys Lane, Exning, CB8 7HL. This is the first year that Cambridge Competitive Music Festival has had an accordion section and everyone was excited to see how the twenty or so players would fare. 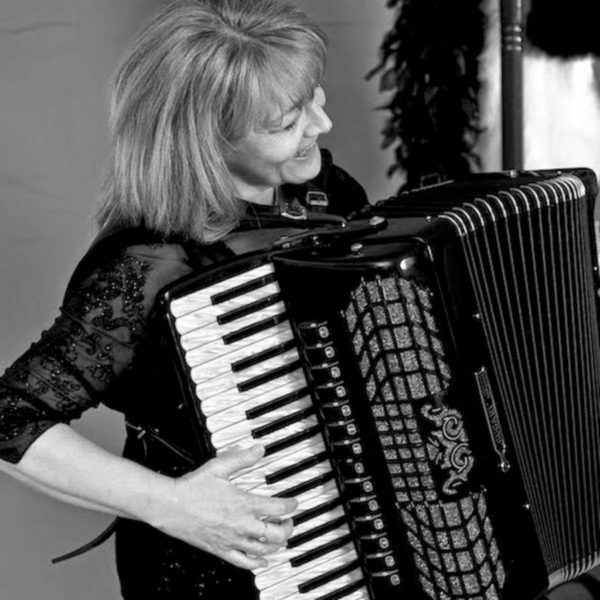 The adjudicator was Eileen Field who, although not an accordionist, is an experienced professional musician with many years of adjudicating under her belt. She gave very relevant and informed feedback to each contestant, which covered, very thoroughly, their playing, interpretation, and how they might seek to improve their performances. She was very positive in her comments and was clearly delighted to see this new section taking place. The first class was for players of 13 years or younger and was led by Jacqueline Chesher, who although rather nervous, gave a mature and very well controlled performance of Graham Romani’s Valse Continentale. She was followed by Steffan Modla-Thomas who played a Ukrainian folk song called Verhovnyo. He played with great style and gave a very authentic performance. Last to play in this section was Sasha Timofeev who played Benton’s Banana Split. He controlled his nerves well and was able to give a very enjoyable performance. The section was won by Steffan, whose performance really captured the spirit of the genre. He played with great gusto and an impressive degree of accuracy. In the 18 Years and younger section, Leo Barlow played his own arrangement of Yoblochko, a traditional Russian folk dance. His performance was well played with good definition particularly in the treble chord passages, which were fast and furious. Although Leo was the only performer in this section, Eileen Field was pleased to congratulate him on his playing as well as pointing out to him, some useful methods of practising to improve his stability in performance. In the Adult section, Ibby Mallett played a piece by Hermann Zilcher called Abendstimmung. This was a very subtle lyrical piece that was played with good expression and phrasing and beautiful bellows control. The next player was Gill Murden, whose performance of Gnossienne No1 by Eric Satie was very well interpreted. Although she was clearly nervous, she kept control of her playing and performed very musically with good style. However, the breadth of pallette and control shown by Ibby Mallet made her a clear winner. played a very pleasing arrangement of a Czechoslovakian folk tune called Zivot Je Jen Jahada (‘Life is Luck’) by Jaroslavve Jezek. This was a very good performance with clear phrasing and dynamics and was a worthy winner in a well contested section. The final class wasfor ensemble playing and was represented by Dawn Loombe’s ensemble players who played Mit Harmonica Grüss by Curt Mahr. This was a really energetic performance with good balance, clear dynamics and a high level of accuracy. They followed it with Waltz No 2 by Shostakovitch. Although this lacked some of the definition of their first offering it was nonetheless a good performance with expressive passage work and good control of the rallentandos. Eileen Field was very warm in her remarks about the group’s playing and very encouraging in comments about their performance. Eileen Field, in her summing up, of the performances was very complimentary. She acknowledged the huge amount of practice by the students in preparing for the competition, and drew attention to the work that would follow as students continued to practise and improve their playing skills. She also recognised and drew attention to the huge amount of work done by their teacher Dawn Loombe in preparing the students for the competition (not to mention her work in organizing the running of the section) and she looked forward to the following year when there would be an even larger number of students competing. As a spectator, I can say without hesitation that we have a lot to be grateful for. Dawn has worked so hard; teaching, encouraging, and generally raising her students playing to a level that they would not perhaps would not previously have thought possible. Each student too, deserves our congratulations for the preparation they did and for their performances in the competition itself. The whole day was a thoroughly enjoyable occasion of which all those who took part can be justly proud. I can’t wait for next year!